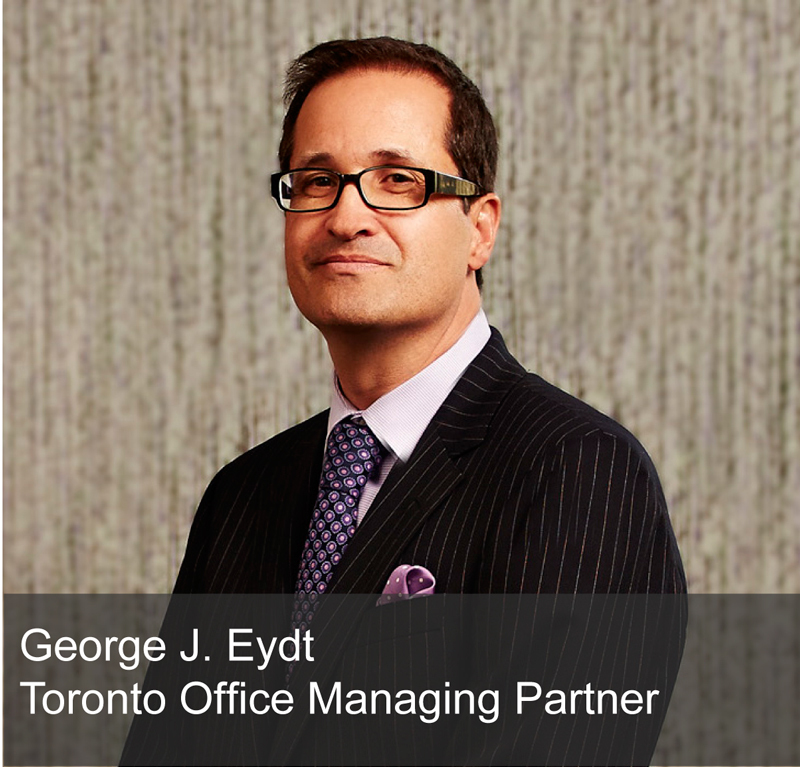 Hodgson Russ LLP is pleased to announce that partner George Eydt has been selected for inclusion in the 10th edition of The Best Lawyers in Canada in the Corporate Law and Franchise Law practice areas. Because Best Lawyers is based on an in-depth peer-review survey in which attorneys cast votes on the legal abilities of lawyers outside their firm who practice in the same legal and geographic areas, inclusion in Best Lawyers may be considered a singular honor. George is managing partner of Hodgson Russ’s Toronto office and leader of the firm's Canada/U.S. Cross-Border Practice—a team of U.S. lawyers dedicated to serving the needs of Canadian and other international companies and their professional advisors relative to business expansion into the United States. He also leads the firm’s Franchise & Distribution Practice. In his day-to-day practice, George provides cross-border advice on a wide variety of issues, including franchise and other distribution relationships, structuring of U.S. business expansion, and mergers and acquisitions. Prior to law school, George worked for eight years in both sales and corporate planning with integrated steel producer Dofasco Inc. of Hamilton, Ontario. Although he is a member of the Ontario Bar, George exclusively practices U.S. law and is admitted to practice in New York State.